The late, great Cary Grant was a perennial fixture on best-dressed lists in the 1950s and 60s. With characteristic modesty, the actor said he never understood why, for he never took the trouble to be fashionable or stand out. Therein lies a lesson: Being well dressed is a matter of style, not fashion; of the quality and fit of one’s clothes, not how loudly they speak. Below, we’ve distilled five personal style tips from one of the best-dressed men of modern times. Said Grant: “Simplicity, to me, has always been the essence of good taste.” He favored dark, solid neckties, white shirts and solid suits, as shown here. This studio portrait of Cary Grant shows the power of his typically “simple” wardrobe choices: sober wool suiting, white cotton shirt and handkerchief, and a solid tie. A few details give the look plenty of dash—bold peak lapels, French cuffs and an interesting weave in the necktie silk. 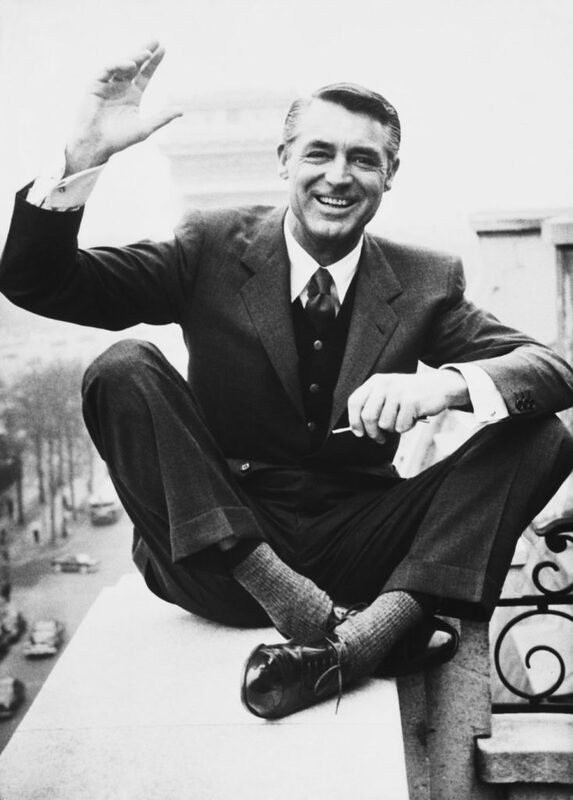 Seen lounging on a Paris rooftop, Cary Grant practiced what he preached: Buy quality clothing and dress better than you have to. Although Cary Grant favored dark blue, here he looks especially dapper in a light blue Prince of Wales check with a yellow windowpane. The unexpected (and very modern) choice of a brown knit necktie complements the suit well, as does the red carnation. 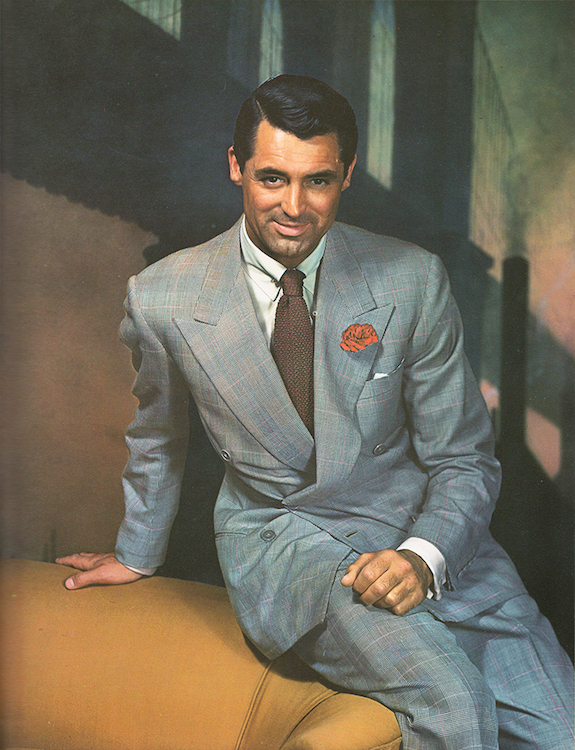 High armholes on Cary Grant’s jacket add to the elegance of his suit. And contrary to what one might think, a high armhole gives the wearer a fuller range of motion. 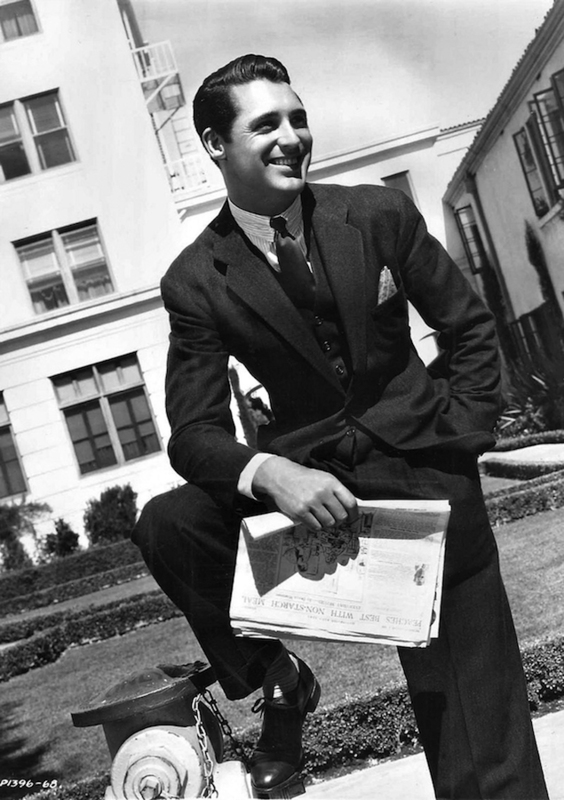 With a boost from his excellent wardrobe, the young Cary Grant projects ease and confidence.